Sesame Street was instrumental in teaching generations of screen-bound children how to count and learn the alphabet. So it's only natural that kids would want to get inside that world, right? 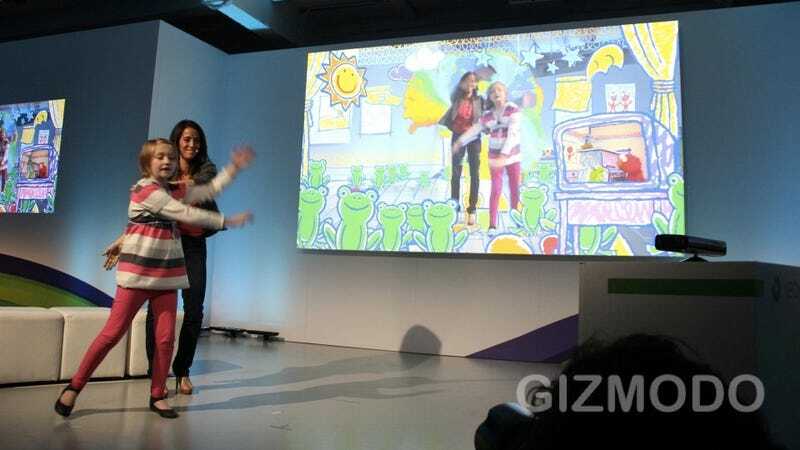 Microsoft's done it, and it's gonna make kids scream. Trite as it sounds, Kinect Sesame Street TV is some seriously interactive TV, like I've never seen before—episodes filmed specially for Xbox hardware. Elmo asks a tot to throw him coconuts—the kid tosses 'em into a digital box. Grover asks to help spot triangles—kids find them with their fingers. And, best of all, kids can hop into "Elmo's World" onscreen, creating crazy rainbows with their arms, knocking around stars, and hopping with frogs. It's silly! It's kiddy! And that's the point. This looks like the same Sesame Street of childhood legend. Now your kids can run around inside it.